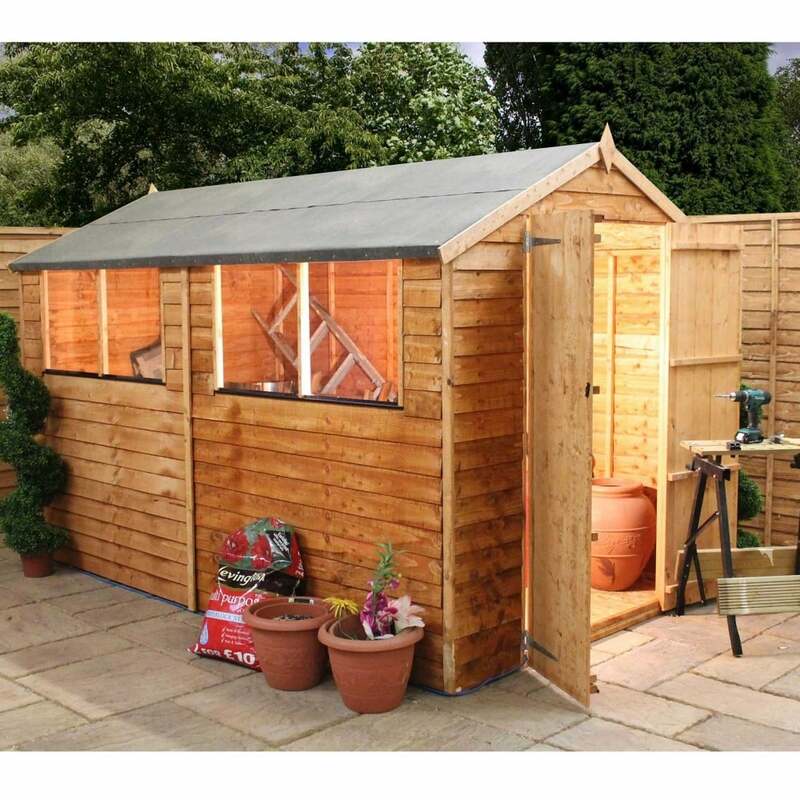 Mercia 10 x 6 Overlap Apex Shed Double Door: The Mercia overlap garden shed comes in this traditional design ideal for any size garden. The Mercia 10 x 6 shed features ledged double doors, superb for manoeuvring larger items in and out without the hassle. The framing is what gives a shed like this its strength, in the overlap range the framing is doubled up in all of the corners with a 28x28mm battening to make sure it is fit for purpose. The Mercia 10 x 6 shed comes with a 10 year manufacturer’s warranty against rot and with just a topcoat of treatment and a regular top up the guarantee is easy to maintain.